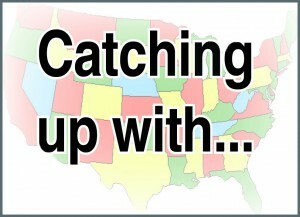 Editorâ€™s Note: This is part of a series that will highlight some of this yearâ€™s major state legislative activity as it relates to Career Technical Education (CTE). Further explanation of the series can be found here and the previous installments here and here. 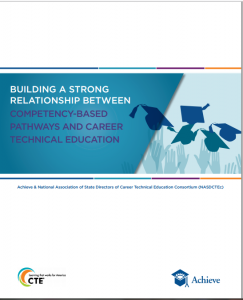 For a comprehensive look-back at the 2013 legislative sessions, check out the â€œ2013 CTE Year in Review,â€ which was published jointly by NASDCTEc and theÂ Association for Career and Technical EducationÂ in March. Workforce development received a lot of attention from state legislatures this spring as lawmakers across the country created new apprenticeship programs, and called on state workforce boards, businesses and education entities to collaborate in order better address local labor market needs and skills gaps. Several states created or expanded their apprenticeship programs in an effort to create a stronger pipeline of skilled talent in specific fields. Both Indiana and Connecticut seized on tax credits as a means to encourage businesses to offer qualified apprenticeships. In Indiana, school districts and charter schools can now receive grants to support career pathways for high-wage, high-demand jobs that require an industry-recognized credential and includes a cooperative agreement with a business. Also, an employer that hires a student who has completed such program is eligible for a tax credit. Indiana also set aside an additional $5 million for its Pathways for Academic Career and Employment, a program first started in 2013 to provide partnerships between community colleges, industry and nonprofits. Iowa Governor Terry Branstadâ€™s proposed apprenticeship program also passed the legislature, committing about $6 million for the Apprenticeship Training Program Fund and a job training program. 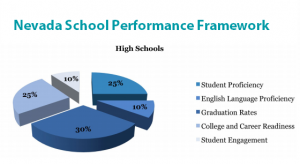 Several state legislatures directed their workforce investment boards and other entities to determine local and regional workforce needs and to better align their work with counterparts in education and commerce. In Alabama, the stateâ€™s workforce board was allocated $4.3 million for regions to determine local skill needs, develop seamless educational pathways and align funding with identified local workforce needs. The law also sets aside $600,000 for career coaches and an additional $200,000 for regional leadership planning efforts. In a separate bill, the state also created a workforce council to promote industry-focused coordination between businesses and its P-12 and higher education systems. 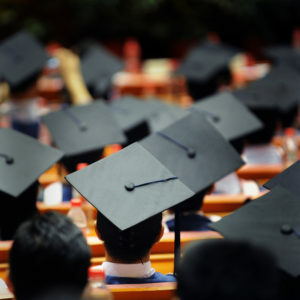 Kentucky lawmakers required the stateâ€™s Office of Education and Workforce Statistics to gather and disseminate employment and earnings data of public, postsecondary graduates. Meanwhile Oregonian lawmakers passed a bill to define â€œa robust and effective workforce systemâ€ by promoting coordination and collaboration of the stateâ€™s employment, economic development, job training services and education sectors â€“ in particular community colleges and public and private universities. Connecticutâ€™s manufacturing industry received a boost from the state legislature through the new Manufacturing Innovation Fund, which can be used to support public and private education and training programs. States also called upon their workforce boards, education systems and businesses to create sector partnerships in order to better provide industry-driven career pathways and address local and regional skills gaps. While business leaders across the nation voice their difficulties in finding highly-skilled employees, the International Brotherhood of Teamsters is closing the skills gap through a program that connects youth with skilled mentors and, oftentimes, rewarding careers. For years, Teamsters in Stratford, Connecticut, saw a need to connect students in the community to area businesses trying to fill job vacancies. The Sikorsky Corporation, a helicopter plant, was among these businesses. High recruitment costs and other barriers kept the plant from hiring qualified workers. Sikorsky partnered with the local Teamsters group to form the Teamsters/Sikorsky Career Pathways Mentoring Program, a pipeline for students into manufacturing positions. Through the program, students are selected from eleven area high schools to participate in an eight-week summer internship that provides hands-on work experience facilitated by Teamster mentors. The highly-competitive program only draws from applicants who are enrolled in a Career Technical Education (CTE) program at school. For the Sikorsky Corporation, the mentorship program provides a new source of skilled workers with fewer recruitment and retention costs. When interns are hired as full-time employees, they require less training and already have work experience and knowledge of the business. An article in this monthâ€™s Teamster magazine, â€œA Milestone in Youth Development: Career Pathways Mentoring Program Celebrates 10 Years of Excellence,â€ highlights this successful program. Read more on the programâ€™s website.